For only $35, you'll receive a Deal valid for One (1) Tampa Fringe Festival Five Pack May 2-11, 2019 ($80 Value), where you can choose five showings to attend! Are you a hard-core fringer?! Why not save yourself a few bucks with one of the Tampa Fringe Five Packs? Featuring acts from all over Tampa and the World, FRINGE is an Open-Access Uncensored Performing Arts Festival with theatre, stand-up, musicals, storytelling, improv and more! Navigate the Uncharted at Tampa Fringe Festival! $80 value. 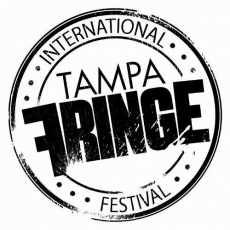 Valid for One (1) Tampa Fringe Festival Five Pack May 2-11, 2019 at various locations. CL Deals must be redeemed for individual show tickets in advance by emailing ticketing@tampafringe.org or at their Information Booth during festival time Mondays Thursday & Fridays 6-10pm, Saturdays & Sundays 12-9pm. 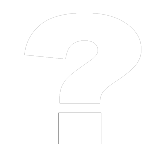 When redeeming please provide your confirmation number, number of tickets, your name, and show title & date. We recommend redeeming in advance because space is limited for each performance. For information about all of the shows you can see, please visit http://tampafringe.org/tiff/shows/ No refunds on events. No cash back. No cash value. Programming subject to change. Event takes place rain or shine. Must print certificate and present with valid at ID at entry. Expires 5/11/19 after event. How does CL Deals work?